Where portability, strength, and style come together. 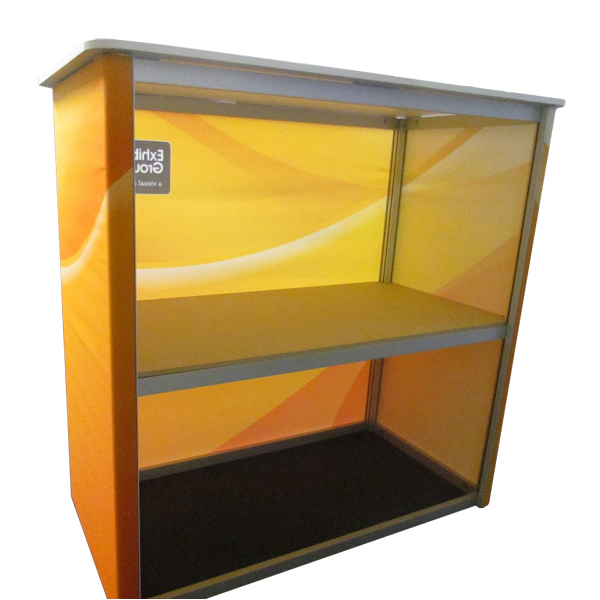 Our Custom Fabric Counter has an aluminum framework, easily put together with an Allen key. 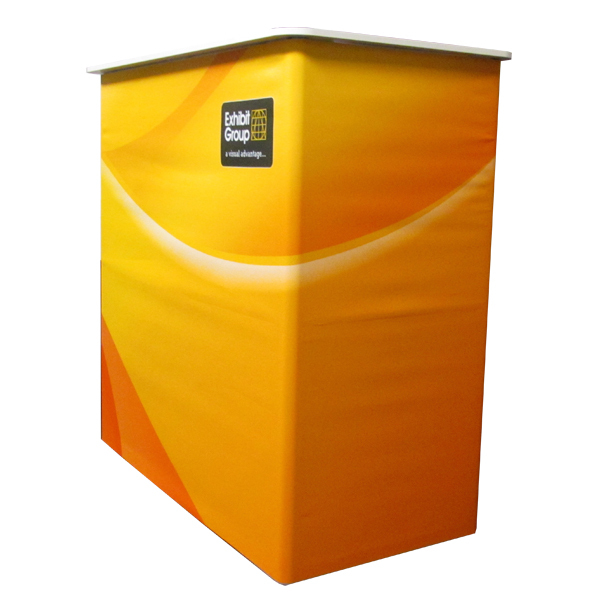 The graphic fabric wrap provides a large seamless area for maximum branding exposure. 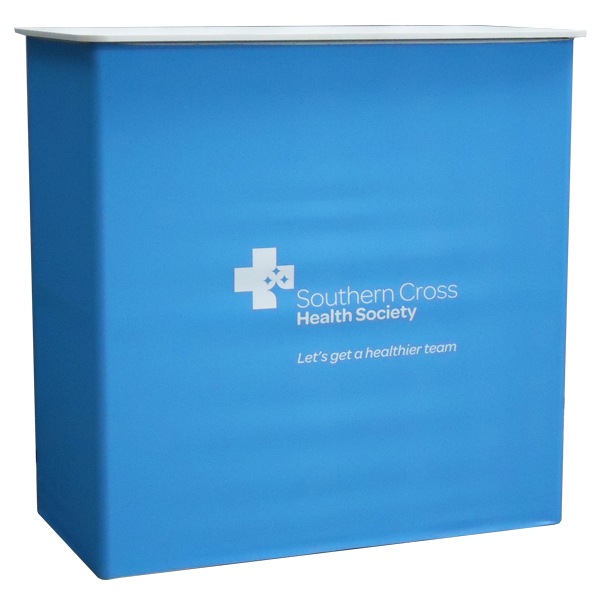 Our Custom Fabric Counter is designed with strength as a key factor whilst being totally portable. High-quality dye-sublimation fabric print can be easily interchanged and cleaned. 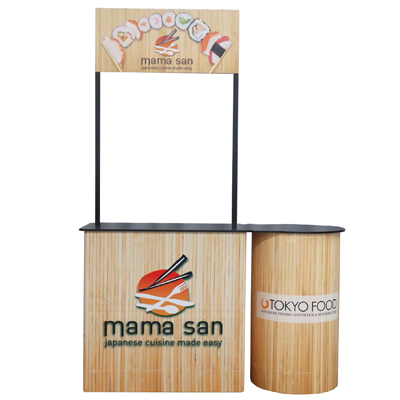 Lids are a durable melamine faced MDF making them a perfect work surface for various applications. 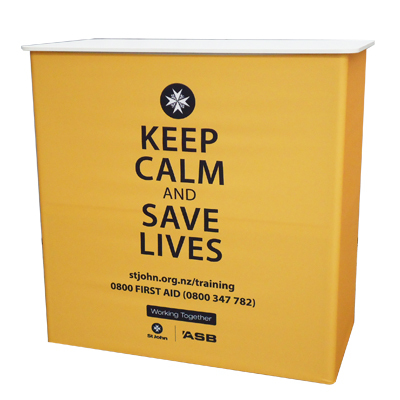 Standard lid colours are black or white, however other colours are available on request. 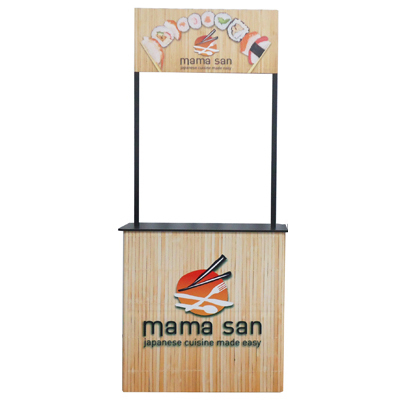 Lids can be customised with cable ports, iPad holders or custom graphics. Our quality promise - send it back to us to replace with updated printing, rather than throw away! 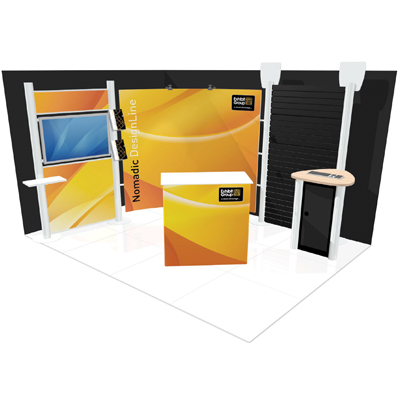 The Custom Series Fabric Counter comes with high-quality dye-sublimation detachable and interchangeable fabric graphic wraps. 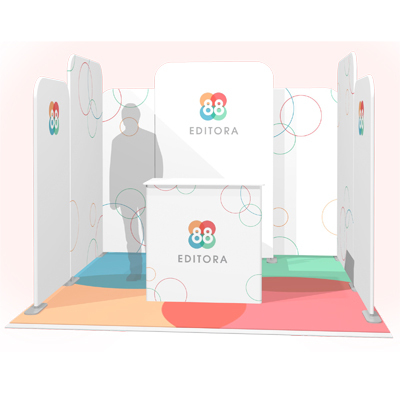 These can be refreshed with your new image or promotion by simply re-skinning. Premium, durable fabric designed and tested for long-term and frequent use. Other lid colour options available on request. Talk to us today!